We at Haven Oaks Farm take pride in finding good and caring homes for our horses when their career at the racetrack is over. Whether they are adopted or sold, it is important that they will be treated with respect and have an opportunity to be loved and appreciated whatever their new occupation. This page is dedicated to our retired athletes and the people who love them! Curly's Hope is known as "Lefty" to her friends. She retired sound from racing after just a few starts. 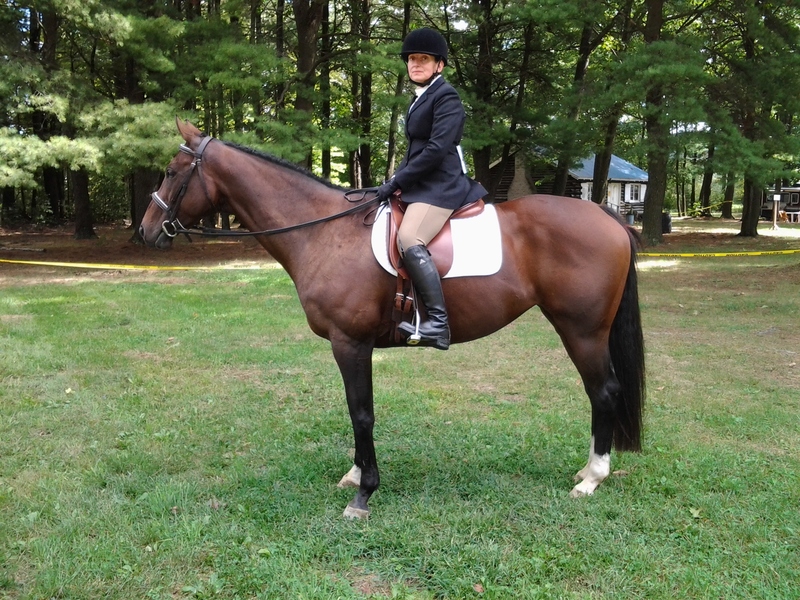 Her owner Kelly enjoys trail riding and dressage. Lefty won both classes of her first dressage competition! 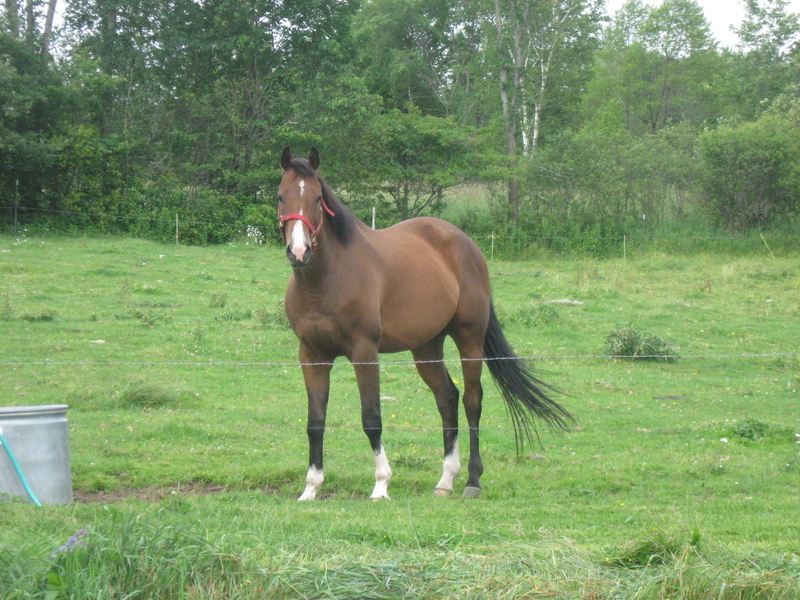 Gal came to us unraced and in foal. 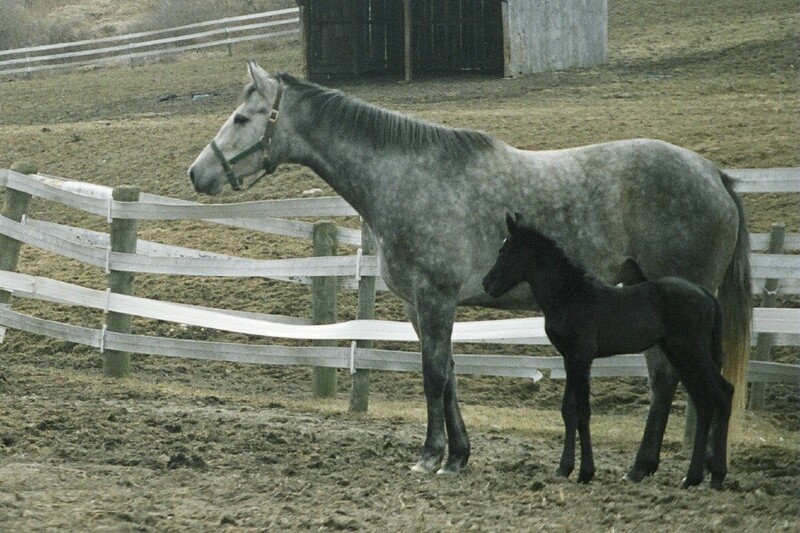 She gave us three lovely foals before retiring from life as a broodmare. 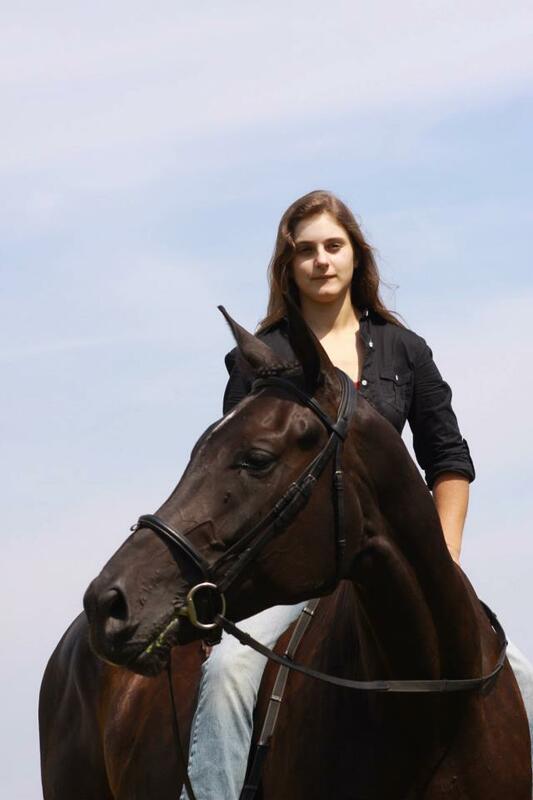 She is now enjoying performing in the show ring as a hunter. "Matilda" was our "first born" here at Haven Oaks and gave us many exciting days at the races. Her record is distinguished by her having won at least one race every year of her career from ages three through six, seven wins in all. She is the most successful foal of her sire, Tricky Mister. She is now "retired" right here at Haven Oaks with owner, Brenda for whom she is training in dressage and enjoying trail riding. Gold was a hard-knocking race horse at Finger Lakes with his share of wins in the claiming ranks. When it was time for him to hang up his racing plates, he found a terrific home high in the Green Mountains of Vermont with owner Gabby. They love riding through the fields and trails around their home. We elected not to race "Danger" due to some imperfections in his conformation that we felt might not hold up to the stresses of racing. 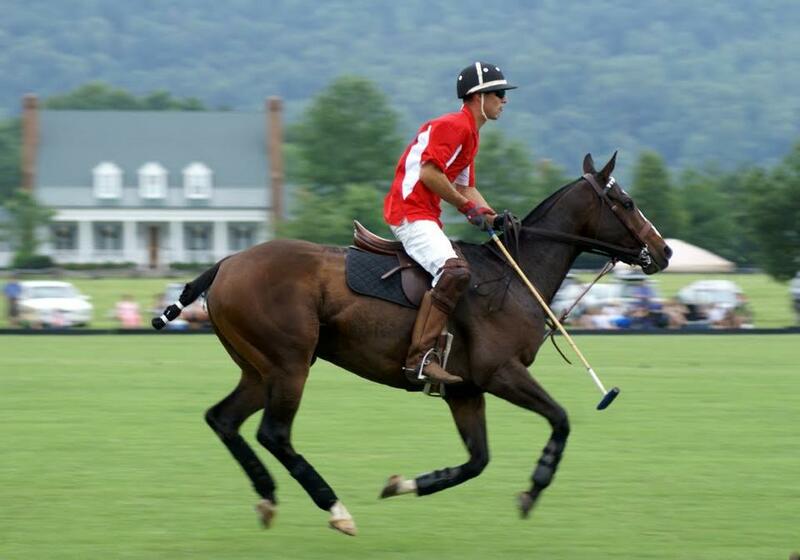 He has found a wonderful home and career as a polo pony. Here he is strutting his stuff at a match in Virginia.